Aesthetic Perspectives is a framework to enhance understanding and evaluation of creative work at the intersection of arts and civic engagement, community development, and justice. 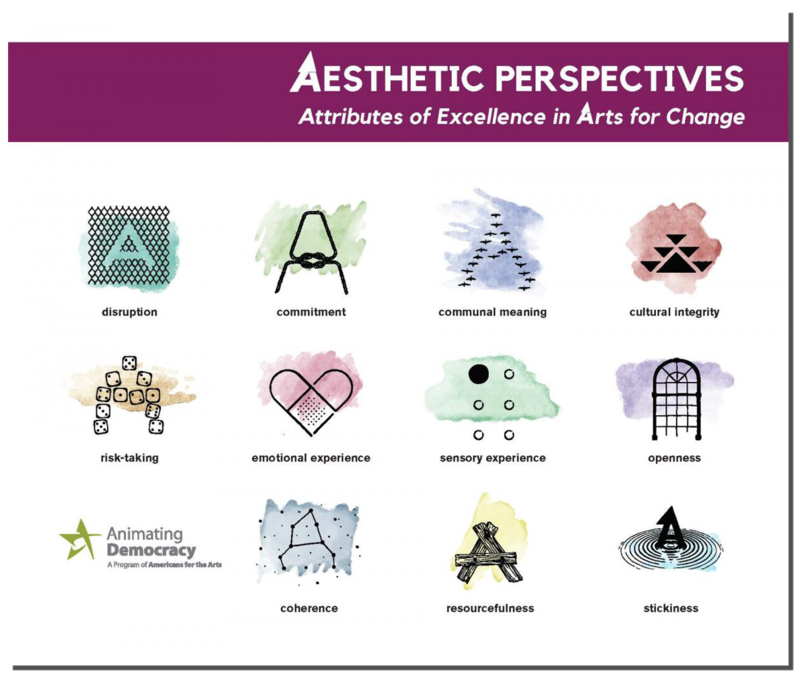 Aesthetic Perspectives describes 11 attributes of excellence defined by artists that can be observed in socially engaged work in all artistic disciplines. These attributes address the potency of creative expression to embody and motivate change. As definitions of public art broaden to include social and civic practice, cultural agencies and funders are responding by supporting more place- and issue-specific work as well as cross-sector collaborations. 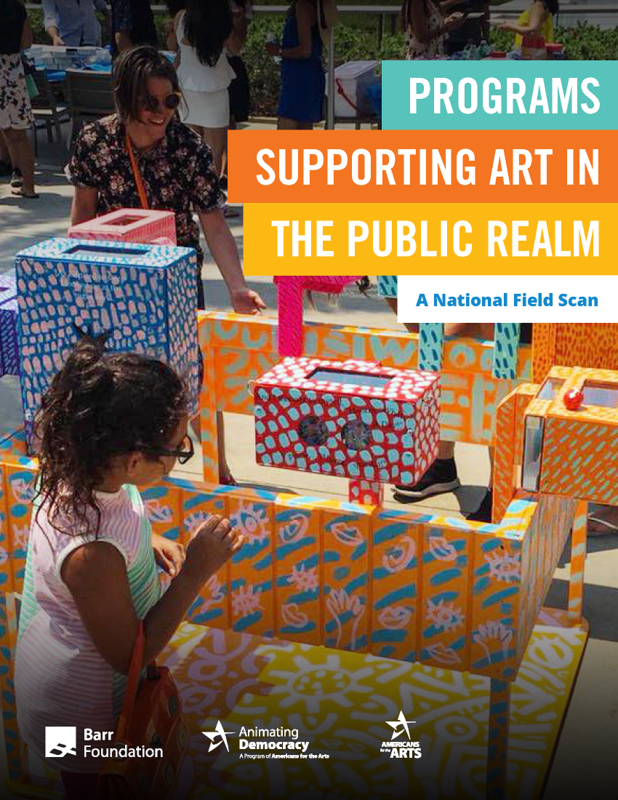 The Scan offers snapshots of 28 programs supporting and building capacity for artists to work in the public realm and highlights overarching themes. Detailed summaries from interviews with seven selected programs provide additional insights. The report is offered in the spirit of advancing field dialogue about supporting artists working in the public realm. Offering findings from Animating Democracy’s initial phase of action-based research on arts-based civic dialogue projects, an experiment in critical writing, and Animating Democracy’s launching study. 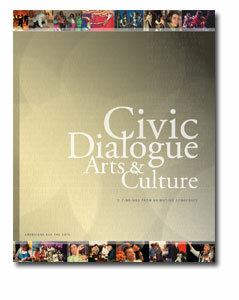 Providing in-depth portraits and analyses of arts and humanities-based civic engagement and dialogue projects. Exploring philosophical, practical, and aesthetic dimensions of socially engaged arts and humanities work. Available for download and purchase.